The fan controller designed by users! 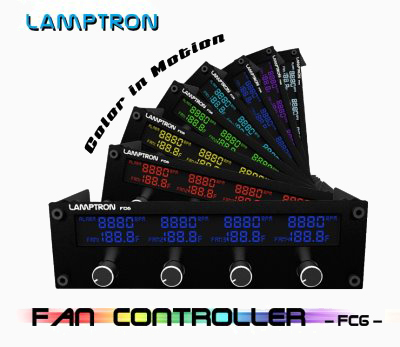 Lamptron took into consideration all the feedback from end users to create the FC-6. Muliple colors are now available for the display and the Watts per channel are an astounding 20W! This controller can handle all your needs easily with the ability to control from 0 ~ 100% voltage and looks sharp doing it! everything works as advertised - the display looks nice and mine is controlling 4 fans, a water pump, and a few led strips, however, the knobs are very flimsy and come off too easily. after using it a while I realized that the display is actually kind of useless. I control my fans'' and pump''s speeds based on how loud they are, not really based on the exact rpm. next time I will save money and get just knobs. You might consider a different model. After 3 months of back and forth correspondence with Lamptron, i finally received an RMA unit, but it too had a defective display. This one staying on for an hour or so and then just glowing red. After about 10 hours it would come back on. Repeat. I may have just had a couple bad units, or one that was rushing out before quality control as an RMA, but my lamptron experience has been soiled. Perhaps consider the next step up with the "improved" lcd. Fan controls work well, rpm display seems mostly accurate. But the display died after less than a week. However, since i didn''t install it until after Frozen''s return window, i have to rma with lamptron. Hopefully that resolves the issue. First off, be aware that there seems to be two versions of this product. The first one I bought was defective(tachy not working) and had a noticeably lower quality LCD. I didn''t see any version 2 listings when I was researching reviews so perhaps the LCD was defective on my first one as well. Review is SOLELY based on the replacement. The knobs control the full range of power and easily drive any 2 fans I''ve put together on a channel at max rpm (all 120s and 140s). Build quality is solid, all of the knobs are braced by the front bezel in such a way that I don''t worry about them breaking off. The plugs in the rear are easy to access without using needle nosed pliers. The LCD is simply gorgeous, all of the color options are vibrant and crystal clear. Plenty of cables are included. i would have given it 5 stars if the LCD would be better. 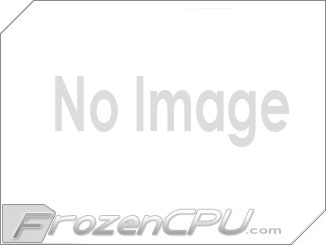 the vertical view angle seems to be OK, but the horizontal view angle is not. 1 and up $32.99 ea.